Thanks to everyone who made the Golf Classic a huge success. The weather was kind again with good sunshine earlier and clear and dry all day right up to the end. An enjoyable day. Well done to Ballymartle GAA who won the competition. A huge thanks to the committee and especially again, Marion and Susan who were manning the sign on table all day, Sharon and Kelly at the Burger stop. All the hard work paid off again with over 60 teams playing and up to 80 sponsors of tee-box signs. Nearest The Pin: Brian Hickey. 1st: Ballymartle GAA: 59pts Gary Prout, Dan Coleman, David O'Mahony. 3rd: Scannells Pharmacy: Ross Twomey, Denis O'Leary, Leo Murphy. 4th: Bandon GAA: Martin Kelly, Robert Lang, Derek O'Driscoll. 5th: Courcey Rovers GAA: Brian Hayes, Conor Hurley, Eoin Hayes. 6th: Noel Keaty, Micheal Larkin, Martin Reeves. 7th: Barryroe Co-Op: Neil Whelton, Gerard Holland, Tim Flynn. 8th: Cronins Electrical: Jerry Deegan, Frank O'Mahony, David Crean. 9th: Mark Kelly team: Mark Kelly, Micheal O'Mahony, Tony Healy. 10th: Denis Healy, Brian Desmond, Tony Desmond. Clonakilty Food Co Hamper: Harold Kingston. 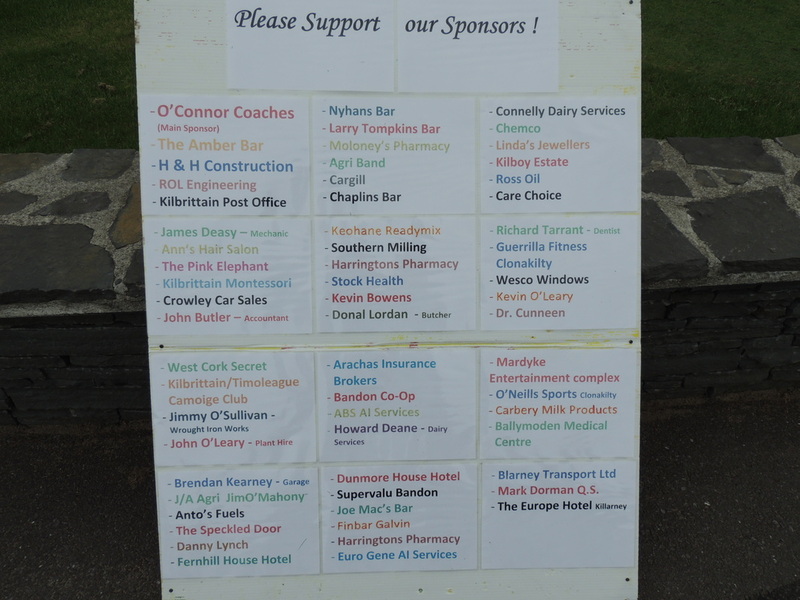 Thanks to the sponsors of the raffle prizes, Old Head Golf course, Lindas Jewellery (Kinsale), Irish Yogurts Ltd, Carbery Milk Products, Clonakilty Food Co. The launch of the 2016 classic took place at the premises of main sponsors O'Connor Coaches in rare glorious sunshine in mid April. Present at the launch were Damien Desmond, Tomas Harrington representing the players, Oliver O'Brien, Susan Nyhan, Tomas Brennan, Marion Twohig, Sharon McSweeney all committee and Sen O'Connor and Terry O'Regan, O'Connor Coaches. The classic takes place in Bandon Golf club on Friday 27th May. 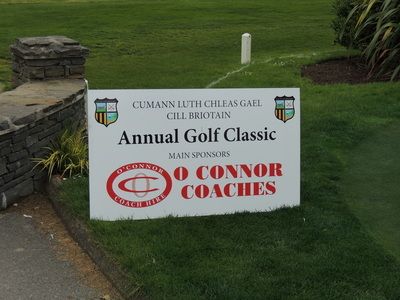 The annual golf classic was launched at the premises of our new sponsors "O'Connor Coaches". Sean O'Connor of O'Connor Coaches expressed his delight on becoming the new main sponsor of the event. He acknowledged the huge work done by the committee over the last eight weeks in organising the event and said he was looking forward to the 15th May. Committee Chairman Tomas Brennan, expressed the gratitude of the club for the generous sponsorship received from O'Connor Coaches and also thanked the committee for all the hard work thus far. Representatives of the committee, players, and Sean O'Connor, Cormac O'Connor and Terry O'Regan (O'Connor Coaches) were present for the launch. This years Annual Golf Classic was sponsored by O'Connor Coaches and held in Bandon Golf Club on Friday 15th May. 72 teams signed up to the time-sheet (well up on the previous few years) and with 61 tee-box sponsors, the event was a huge success. With teams almost double from last year, the committee have to be thanked for their renewed enthusiasm. Nearest the pin: Micheal Quinlan 7' 8"
1st: Denis Hurley's team; Denis Hurley, Ger O'Shea, James Hurley 55 points. 2nd: Owen Sextons team; Jonathon Lehane, Adrian Crowley, Barry Curlie 54 points. 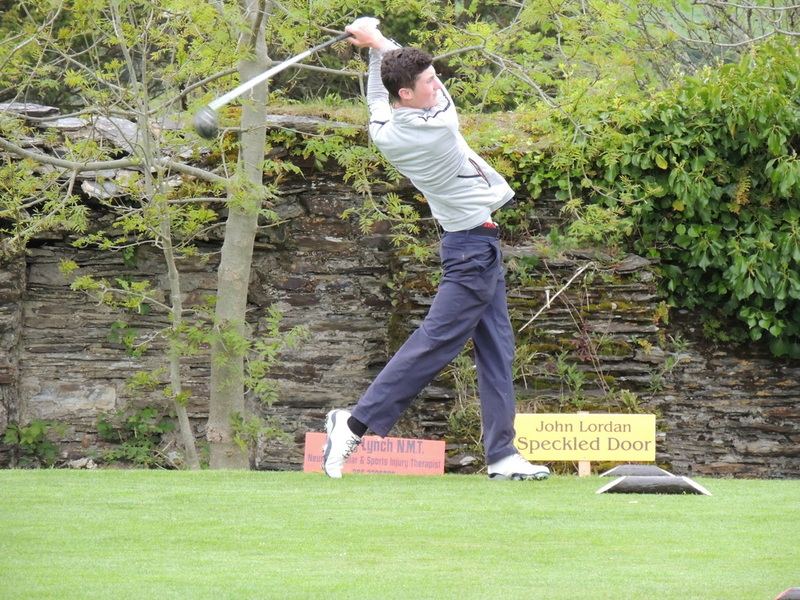 3rd: Ronan Currans team; Ronan Curran, Jonathon O'Callaghan, Tom O'Shea 54 points. 4th: Guy Scott; Guy Scott, John Jermyn, Ger Burns, 59 points. 5th: Declan O'Donovan; Declan O'Donovan, Daniel Murphy, Sean O'Donovan, 57points. 8th; Stauntons; John O'Regan, Tomas Bambury, Joe McCarthy. 55points. 10th; Courceys GAA; Stephen Nyhan, Edin Hayes, Lester Hurley. 54 points. 1st: Scannells Pharmacy team; Mary Scannell, Grainne Cowhig, Mary Cowhig, 51 points. 2nd: Patricia Nyhans team; Pat Nyhan, Sheila Foley, Ann O'Rourke 45 points. 3rd Gretta Hurleys team; Gretta Hurley, Kathleen O'Donoghue, Mary Scanlan 42 points. 1 night B&B at Europe Hotel, Killarney; Kieran Kingston. The Annual Golf Classic was held in Bandon Golf Club on Friday 25th July. 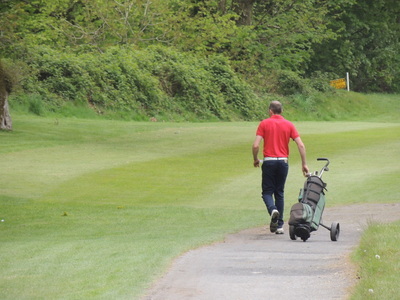 The clubs 15th classic proved very successful again with up to 40 teams having paid. The slight decrease in team numbers was down to the later time of year for the event. With some regular participating team members on holiday and therefore not available to play. Perhaps we will endeavour to get a more suitable date in May of next year! Despite this, a very enjoyable day was had again, with the weather proving to be one of the best days we have had over the 15 years. Longest Drive on 14th: Stephen Minihane. 1st: Scannells Pharmacy 56pts Ross Twomey, Mary Cowhig, Grainne Cowhig. 3rd: Denis Healy 53pts Denis Healy, Guy Scott, Ben Scott. 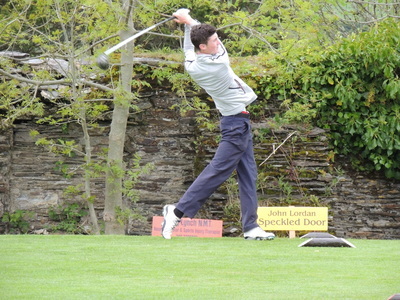 6th: Bandon Golf Club 51pts Declan O'Neill, Brian Cronin, John Collins. 7th: Amber Bar 50pts Dominic Cashman, Pat Quinlan, Tomas Brennan. 8th: Dave Nagle 49pts (21 back 9) Dave Nagle, John O'Shea, John Holland. 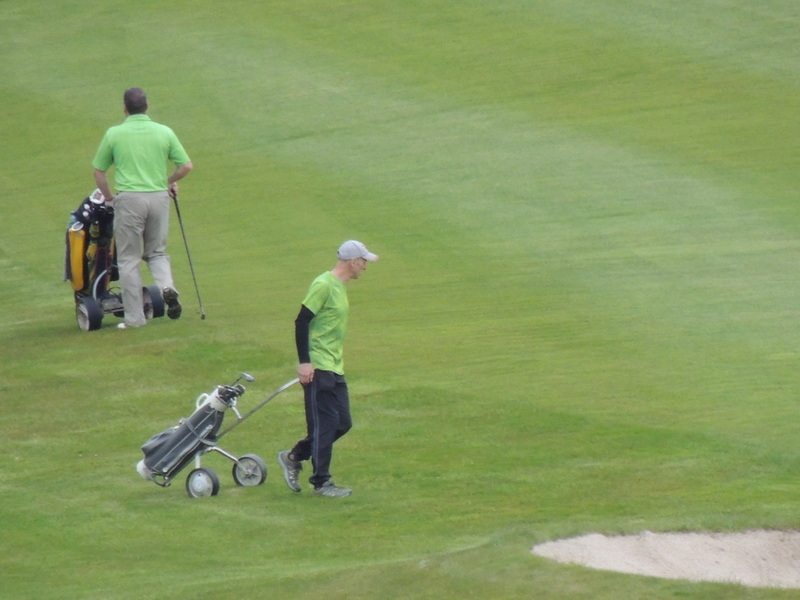 The Annual Golf Classic was held in Bandon golf Club on Friday 31st May. This was the club's 14th classic and first without a main sponsor. 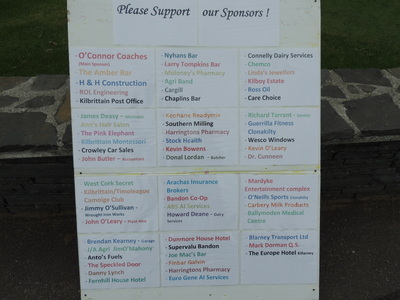 However the club is very grateful for the support from regular teams and tee box sponsors. 45 teams took part on the day with one or two more entered but not playing, made it a very successful day especially in the current economic climate. At the prize-giving later that evening, committee chairman, Liam Ryan thanked everyone for their support and praising the weather, highlighted that in the 14 years, we only had one wet day's golfing! He thanked Bandon Golf Club for the use of the facilities and thanked the hard working committee involved in organising the event. He especially thanked MarionTwohig and Susan Hurley who were on duty all day. 3rd: John Burke 54pts John Burke, Brendan Butler, Bernard Madden. 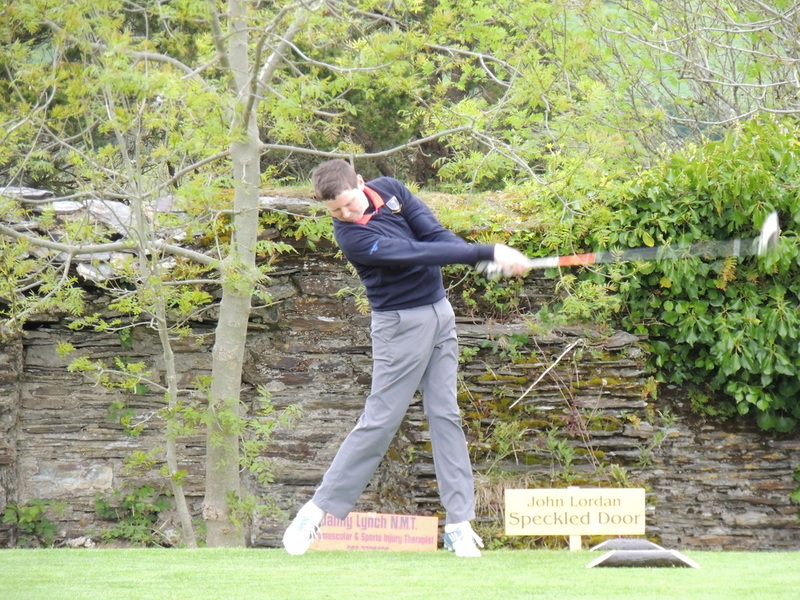 5th: John O'Brien 53pts (28 back 9) Declan O'Donovan, Don Murphy, Sean O'Donovan.